Alexander Gutke, Kris Martin, Jonathan Schipper, Ariel Schlesinger, and Roman Signer. The third and final part can be read as the dénouement of the exhibition. Paired down to a comparatively restrained, but no less powerful selection of works, it recapitulates the theme of memento mori present in all three parts. Ariel Schlesinger’s Untitled (Bubble Machine) (2006) gradually signals its own destruction through its repetitive and inflammatory nature. 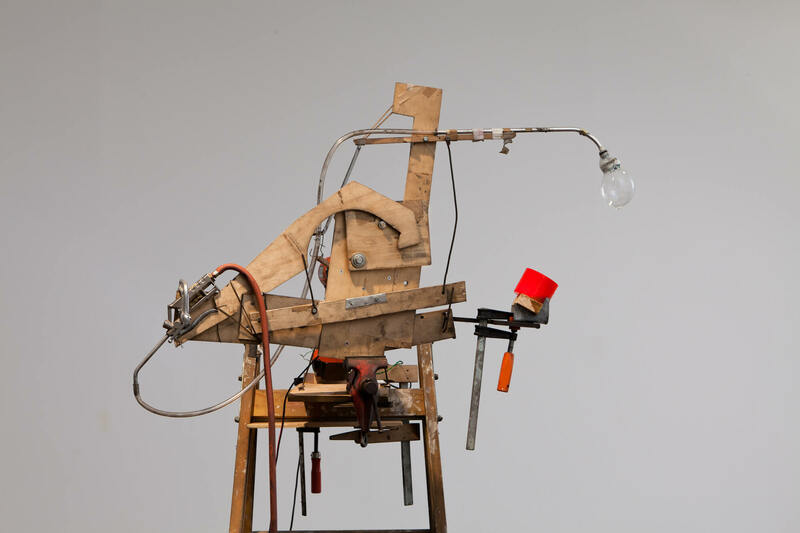 Consisting of a hand-drill mechanism placed on top of a wooden ladder, the machine periodically drops bubbles of soap onto an electrified field of coils, which in turn makes the bubble burst into a fleeting sphere of flames. Fire likewise plays a deleterious role in Roman Signer’s Ramp (2008). Having constructed an elaborate wooden ramp, Signer condemns a small truck to death by sending it down the precipitous incline (the trigger mechanism of the whole affair being a candle burning through a rope, which releases the vehicle to its doom). 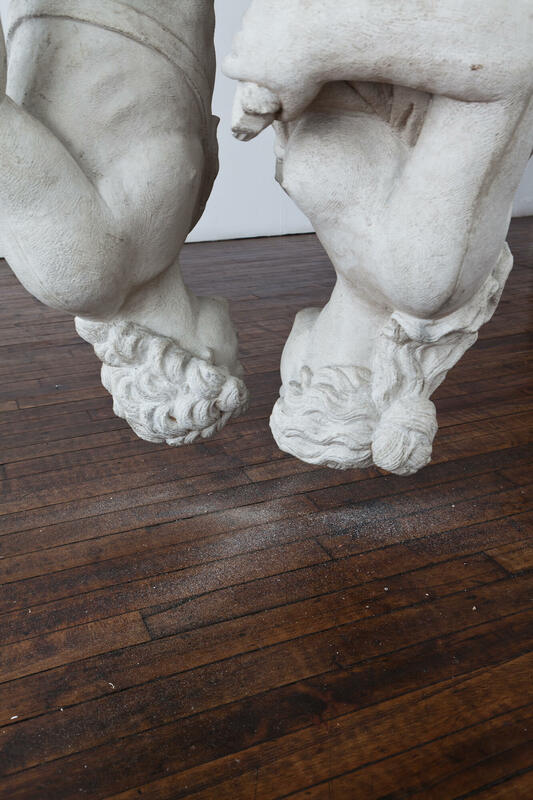 Of an entirely different, much more measured register is Jonathan Schipper’s To Dust (2009), in which two generic cement busts, hung upside down from a mechanism, gradually grind against each other, mutually transforming themselves into dust. Alexander Gutke’s The White Light of the Void (2002) concisely invests the materiality of celluloid with a purchase on the hereafter. 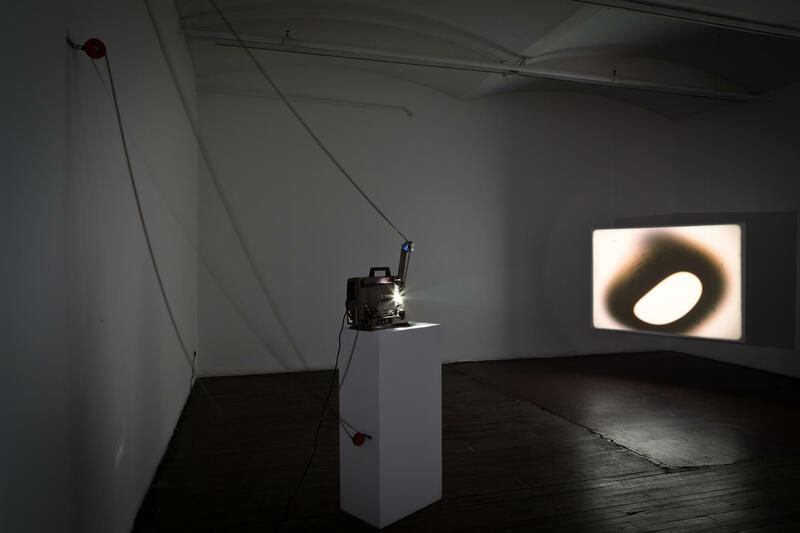 This 16mm film installation simulates the meltdown of blank film stock, as if the film had jammed in the projector and prompted the bulb to burn through the celluloid. This small conflagration, in turn, produces an amoeba-like form that expands outward from the center of the frame, swallowing it up and returning the film to its opening white frame – intact – and the loop resumes. This work can be seen as a metaphor for the entire exhibition, in which destruction itself is often no more than a force of cyclical renewal. 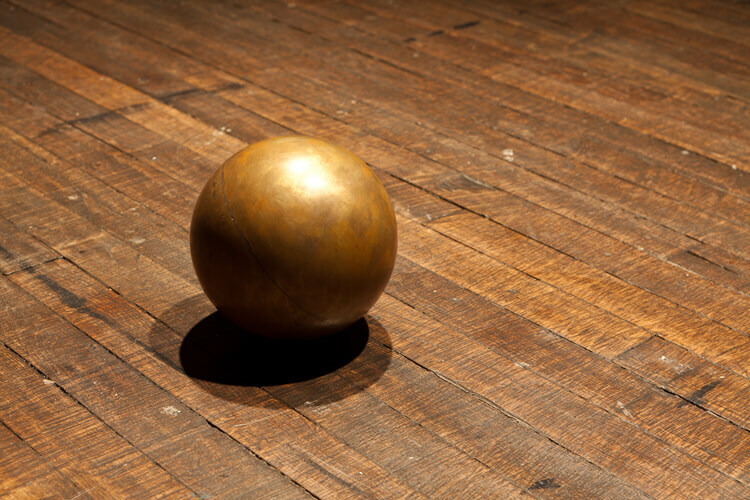 Kris Martin’s 100 years (2004) ultimately embodies the deferral intrinsic to the cycle. Indeed, this work, which quite simply consists of a bomb set to go off in 2104, dislocates the moment of destruction into a distant temporal elsewhere, thereby depriving the exhibition, seemingly comprised of nothing but ends, of an end itself.